Nothing makes a design feel high-end quite as fast as joined elements. When one room is beautiful, another needs to show and reflect that beauty, even if one of the “rooms” is an outdoor patio space. If you use a beautiful ceramic tile flooring inside your home, taking that same flooring to an outdoor space can make your design feel intentional and interconnected. This can make your patio feel like part of your home’s floor plan, effectively giving your design an additional room. Likewise, this same principle can be applied inside the home, we just always advise giving plenty of distance between tile uses (a good rule of thumb is ensuring that both uses aren’t in clear eyesight of one another). Any designer worth their salt is going to order a small buffer of extra material that will (hopefully) never be needed. This buffer allows you to account for any broken or missing pieces, mismeasurements at the time of order, or just generally covers user error. Most homeowners never even tap into this buffer, and wonder what they should do with these few extra tiles; why not take some of those tiles to invest in a table? With a simple search, you can find a table that houses an unfavorable (or missing) top around your home or at a local thrift store. 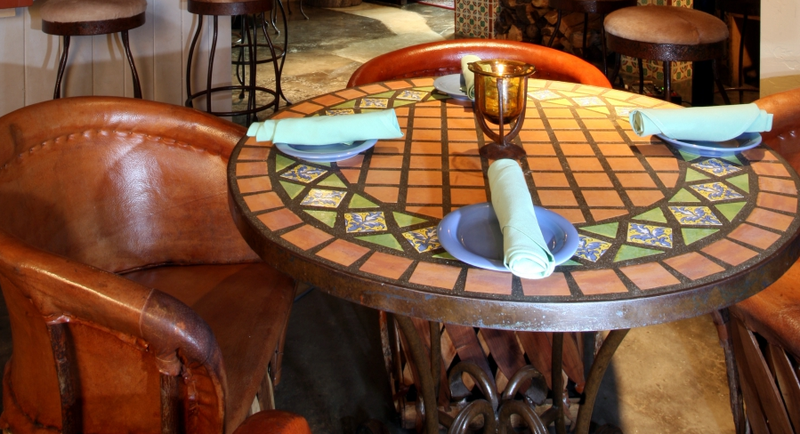 If not else, many tiles can make great coasters to adorn your furniture with a little modification! Similar to the last point, tile can be used to take a piece of furniture that has little-to-no value currently, and make it into an alluring piece that can fetch you a pretty penny in profit. “Upcycling,” as it is referred to, is a common practice that many people do in a wide variety of ways. The best part of this is that upcyclers can come at this from either angle: A table without tile or a tile without table. Either way, with a little patience you may stand to gain a one-of-a-kind piece of furniture for your home (or your bank account). If you’re interested in tile floors for your San Fernando home, then be sure to visit Transworld Tile for the best selection available in the area. Our friendly staff is knowledgeable in many applications of tile, and will gladly help you pick the tile that is best for you. Whether you’re looking to make a beautiful statement with your homes flooring, or just looking for a surface for your old patio table, be sure to stop in and see us!